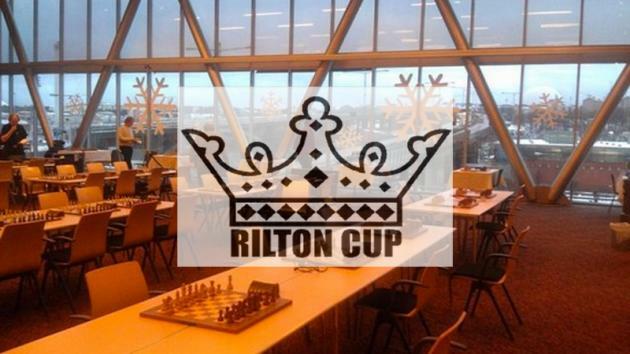 Four players are tied for first place at the Rilton Cup with three rounds to go: GM Michal Krasenkow, GM Nils Grandelius, GM Michael Roiz and GM Tiger Hillarp Persson. The Rilton Cup is named after Tore Rilton, who was born July 18, 1904 in Gothenburg and died September 7, 1983. Rilton, a doctor and a chess lover, was childless and from his assets 8 million Swedish kronor (more than 5 million after tax) were put in the newly founded Rilton Foundation, from which the tournament is supported every year. This year the tournament takes place December 27, 2014-January 5, 2015, at the Clarion Hotel in Stockholm, Sweden. Besides several other groups, the strong Rilton Cup group (for players above 2200!) is a 9-round Swiss. The first prize is 20,000 Swedish kronor (2100 Euro, $2530). The top seeds are GM Ilia Smirin (2644),2014 winner GM Jon Ludvig Hammer (2640), GM Evgeny Romanov (2638), GM Aleksey Goganov (2615) and 2013 winner GM Michael Krasenkow (2614). With three rounds to go, anything is possible. Four players are on five points: GM Michal Krasenkow, GM Nils Grandelius, GM Michael Roiz and GM Tiger Hillarp Persson. Trailing by half a point are GM Jon Ludvig Hammer, FM Martin Lokander, GM Evgeny Romanov and GM Hans Tikkanen. In the first round there were few upsets on the top boards; only Goganov dropped a half-point against Drazen Dragicevic (2289). However, no fewer than three Swedish GMs started with a loss against lower-rated players! An excellent game by Engstrom. | Photo Lars OA Hedlund. A bit of luck for Vasilios Sarandos. | Photo Lars OA Hedlund. Tom Rydstrom. | Photo Lars OA Hedlund. In the second round, the 2600 GMs already faced 2400 opponents, and so there were a few draws at the top. For example, Ilya Smirin was held by Jonathan Westerberg (2411). A nice, sacrificial win by Nils Grandelius. | Photo Lars OA Hedlund. Great tactics from the winner of two years ago. | Photo Lars OA Hedlund. One very interesting participant is FM Yoshiharu Habu. The Japanese FM is more known as a shogi professional, but occasionally the 44-year-old plays a chess tournament. Well, it seemed that he had stopped doing that after 2007, but last year he suddenly participated in the Krakow Open and this year he's active in Stockholm. So far Habu hasn't scored that well: 3.0/6 with a 2208 performance rating. But he probably doesn't care much; in shogi he is one of the best players who ever lived. Yoshiharu Habu. | Photo Lars OA Hedlund.